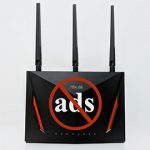 Since we already delved into the world of AC routers with TP-Link Archer C7 AC1750 which is a relatively cheap entry-level router, it is time to have a look at a better, high-end AC router known and praised around the world, the NETGEAR Nighthawk AC1900. Yes, we know it is a weird name but if you take a look at the design of the Lockheed F-117 Nighthawk stealth plane you will understand why the router was named this way. 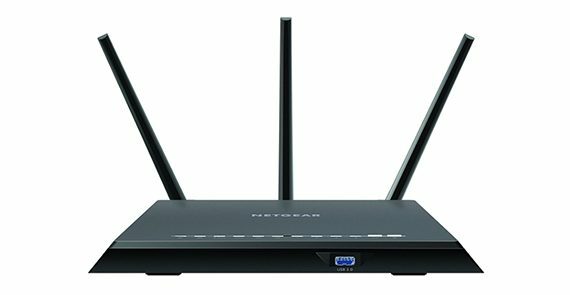 UPDATE (12.21.2016): Netgear has released a firmware (1.0.7.6) to fix the recent arbitrary command injection vulnerability that affected the Nighthawk AC1900 R7000. 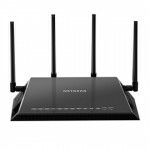 NETGEAR opted for a new interesting design, quite different from other (more boring) models, featuring sharp angular lines, a black matte finish that does not retain fingerprints. 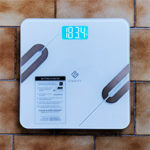 The case is made of plastic, but the router is very sturdy, quite heavy actually (1.8 pounds) and even if a large amount of cables are connected to the ports, the router stood in one place. 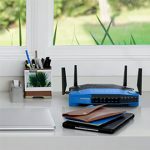 Although it may want to give a stealthy vibe (like the jet – big and undetectable), the router is quite wide (13.7×10.1×3.1 inches) so you will most definitely notice it when you enter the room but for a modern type furniture, this router will fit right in. The NETGEAR router is made to be seated horizontally but you have the option to mount it on the wall. 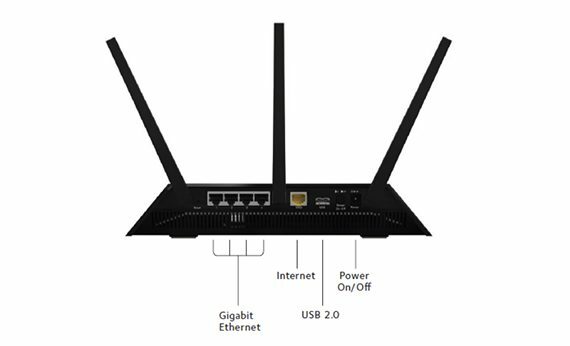 Nighthawk AC1900 R7000 has three detachable external fin-like antennas that optimize the signal and further add to the cool design of this router. Besides the antennas, on the back of the router there is the RESET button, 4 ETHERNET ports, one WAN port, an USB 2.0, On/Off Power button and the Power Input port. 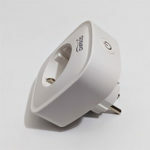 On the front of the router you can find a bunch of white status LEDs (that are not too bright) responsible for power, internet link, 2.4GHz and 5GHz WiFi, 2 USB, WPS, 4 ETHERNET LEDs. The last two LEDs on the right are also buttons: one for WiFi On/Off and the other to enable WPS. On the front of the router you can also find a USB 3.0 port. 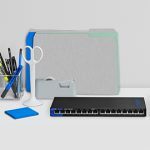 All of this features make the NETGEAR Nighthawk one of the best looking routers we had the pleasure to use. We’ve seen that NETGEAR Nighthawk looks good but what about its performance? Well, as the name suggests, the NETGEAR Nighthawk’s physical link rates are 1300Mbps on 5GHz and 600Mbps on 2.4GHz (1900Mbps if combined). All this is possible thanks to the Broadcom BCM4709A0 WiFi chipset that brings the TurboQAM technology which can boost each 2.4GHz stream to up to 200Mbps. Besides the chipset, the NETGEAR Nighthawk comes equipped with a 1GHz dual-core ARM Cortex A9 CPU, 128 flash memory and 256MB RAM. Testing the router’s WiFi capabilities we got some good results. 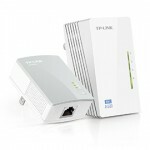 Although it isn’t the fastest AC router, we were impressed by the stability it delivers even at large distance. On 5GHz for 802.11ac and at 15 feet, the router scored 430Mbps and at 100 feet it scored 300Mbps. Still on the 5GHz, for 802.11n and at 15 feet, Nighthawk scored 190Mbps and at 100 feet, the router scored 180Mbps. 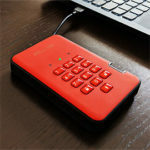 We see that at 5GHz the coverage and stability are absolutely great, streaming videos, playing games, connecting to a multitude of devices was a breeze and we never encountered any problems. 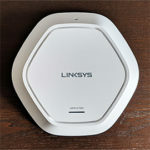 On 2.4GHz and at a close proximity of around 15 feet, the router offers 110Mbps and at 100 feet, it scored 60Mbps. Now, testing the NETGEAR Nighthawk at 2.4GHz we can see that, unfortunately, the speed is not that impressive although it is still pretty stable. Note: When coupled with the USB 3.0, NETGEAR Nighthawk makes for a reliable NAS server (40MBps writing and 60MBps reading). Setting up the Nighthawk AC1900 R7000 is not as user-friendly as one may expect. 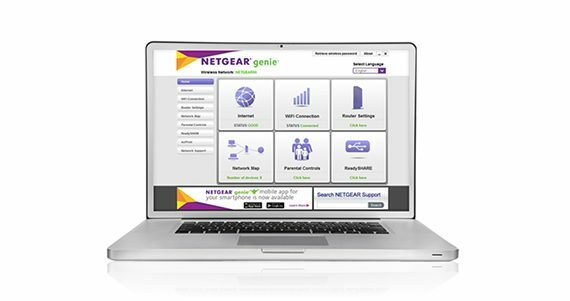 You start by using the WPS or the default password and afterwards you are prompted with the Netgear Genie. Genie’s interface shows the number of clients connected, active bands, connected USB devices, whether Parental Controls are enabled and guest network status. 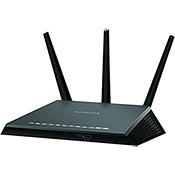 As many other routers, the NETGEAR Nighthawk splits 5GHz and 2.4Ghz into separate SSIDs. Great features that you can find on this router are the Built-in VPN server, openDNS, Parental Control (system that can help you block certain websites and apply different filters), ReadyShare Vault (scheduled backup to an USB device), NETGEAR genie with remote access, Network Map, EZ Mobile Connect and DLNA media and iTunes music server (allows media streaming from a HDD attached to the router). The enhanced QoS is another interesting feature Netgear has improved. This feature is great at prioritizing and setting upstream and downstream traffic that works perfect for video streaming or watching intensive data stream sites like Netflix. 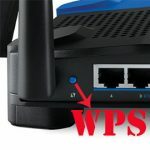 Although most routers have this feature, we have never experienced such great significant performance gain. Because the software may seem a bit outdated we recommend looking up the DD-WRT firmware as it will definitely show a great improvement. 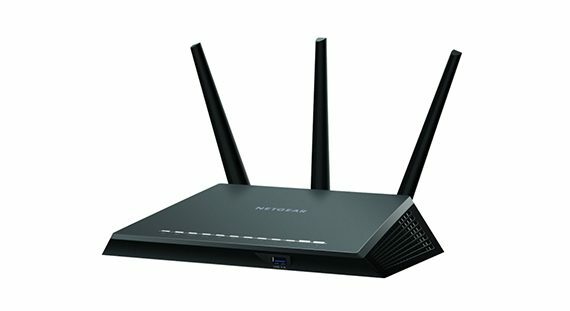 So is all the hype around the NETGEAR Nighthawk even after many years after its appearance still justified? 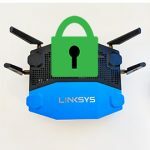 Yes it is, it’s a worthy competitor for some other high-end LinkSys routers and Airport Extreme, it has great performance, on 5GHz it performed stellar, has great coverage and stability, looks good, so basically it is one of the best AC routers we tested.